Salford Junction is one of the few junctions where you can go four ways. The Birmingham and Fazeley Canal runs from Fazeley Junction (behind the camera). 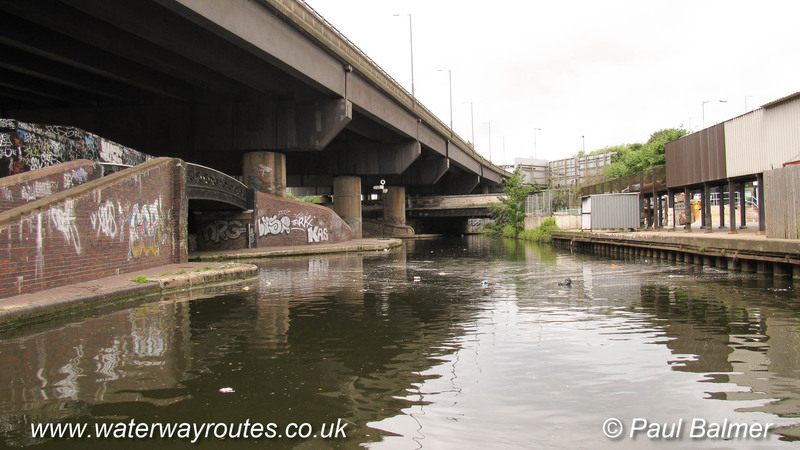 Straight ahead is the route of the Tame Valley Canal of the Birmingham Canal Navigations (BCN). Turning sharp left under the first bridge is the start of the Grand Union Canal which runs to London where it joins the River Thames at Brentford. The Birmingham & Fazeley Canal continues as the almost invisible second left turn to reach the centre of Birmingham through Aston and Farmers Bridge Locks.